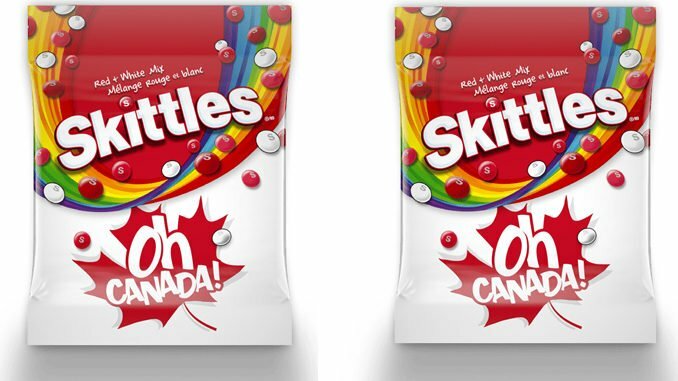 Skittles is celebrating the extraordinar – EH with the launch of a NEW Skittles Red & White Mix for Canada’s 151st birthday. The iconic candy has created a special summer mix of flavours that includes watermelon, white grape, peach, strawberry and cherry a year AFTER the country’s landmark birthday. It’s never too late to celebrate Canada’s big day with Skittles and nature. On July 1st, Skittles will pay tribute to one of Canada’s most endearing symbols: The Beaver. For the first time ever, Canadians can tune in to watch a video stream of a man, dressed as a beaver, building a dam. That’s right. On Canada Day, there will be a man dressed head-to-tail in a beaver costume, in the wilderness, building a dam for the viewing pleasure of all Canadians. Each online view will help contribute towards Skittles donation* to the David Suzuki foundation showing that Canadians #GIVEaDAM about our national environment and the prosperity of the majestic beaver. Viewers can witness the Skittles magic and help beavers by visiting skittlesgiveadam.ca. For never before seen footage, Canadians can tune in on July 1st at 1:51 p.m. EST to see what our Canadian “wildlife” are up to. Skittles Red & White Mix is now available in stores, while supplies last. Product can be purchased at all major grocery retailers nationally at a suggested retail price of $3.59 (191g).